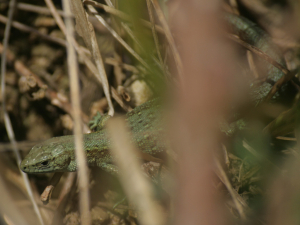 Observation - common lizard - UK and Ireland. Description: Lurking under a bramble in hot sunshine at midday. Lurking under a bramble in hot sunshine at midday.